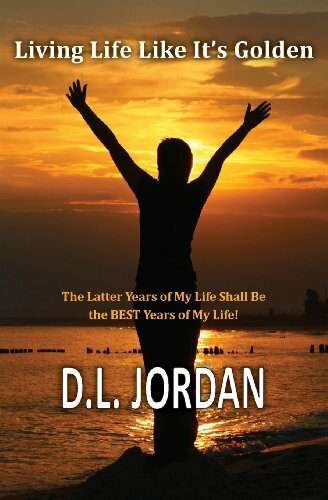 Living Life Like It's Golden: The Latter Years of My Life Shall Be the BEST Years of My Life! A must have for all women!! Jun 17, 2014 2 of 2 found this helpful. Compelling and Inspiring - a must read!! Proud Supporter...The Blessings of this book are continuous! An inspiring read of hope, renewal and healing for women who have met pain, heartache and change. "living life like it's golden"
2 of the 8 total reviews for this product use substantial repetitive phrases between them. While this is more than we'd expect to see, it does not appear to have a significant impact on the overall rating. We counted 8 reviews for this product over the span of 158 days, an average of 0.1 reviews per day. If these reviews were created randomly, there would be a 99.9% chance that we would see 2 or fewer reviews on any given day. We didn't find any days exceeding this threshold.